Following my post yesterday regarding the Essence Festival in Durban having caused the eThekwini municipality R103m R95-million, I have received information stating that the fest injected R230-million in to the provincial GDP in 2016. Mayor of Ethekwini municipality, Councillor Zandile Gumede highlighted, at the media breakfast held on Wednesday, 19 July, that the ESSENCE Durban Festival not only benefits Kwazulu-Natal communities but also the city’s economy at large. “The ESSENCE Durban Festival programme is diverse, informative, thought provoking and fun. It is focused on talent, cultural, economical and business development which connect with many people,” she said. According to the press release I received, last year the festival drew over 60,000 attendees from across the country. Injecting over R230 million into the province’s GDP. “We are proud to partner with Time Inc.’s (NYSE: TIME) because we are both equally passionate about communities, economic empowerment, youth development and wellness,” added Gumede. 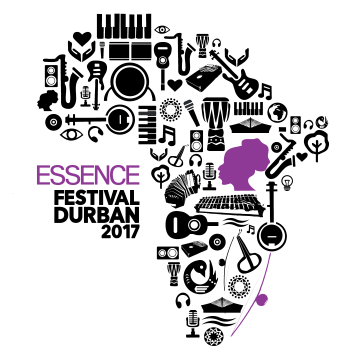 ESSENCE Festival Durban follows a similar format of the annual New Orleans event namely; “party with a purpose.” The festival is not only about music but has an innovative component that includes music & entertainment; tech & business showcases; property, art & crafts; lifestyle, wellness, food & travel; beauty, fashion & style. In collaboration with the New Orleans version of festival these South Africans also got have an opportunity to showcase their work in the US as a results of the KZN province adopting the festival. Female owned company and found in January 2016, Mabotho Designs makes genuine leather modern fashionable purses, luggage, tote and laptop bags, and backpacks. Ms Mkhize exhibited at ESSENCE Festival Durban in November 2016 and decided to follow the Festival to New Orleans. She sold most of her stock on the first of NOLA Fest. She now has clients in the US and some part of Africa. NB: she financed her trip and participation in the NOLA Fest. Siponono is a female owned company and based in Durban. She designs and makes African print head wraps, purses and other accessories. She exhibited at the Festival and sold head wraps to women that attended the Women Empowerment breakfast. She’s featured on eTV and other print media. She was one of the SMMEs that the Municipality (our Unit) took to the WEF to exhibit (fashion pop-up shops) and speak in one of the “African” entrepreneurship themed sessions. Dr Lwazi is a film maker. Together with her business partner, they met a delegation from Sacramento that attended the ESSENCE Fest Durban last year and ended up discussing a business deal i.e. Sacramento is/ will be investing in her film business. One of her films won at the Durban International Film Festival.